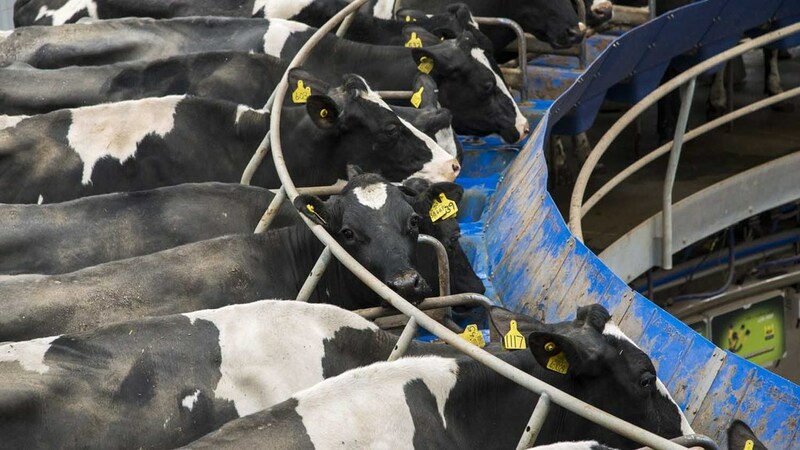 Global milk production has fallen faster than expected and export surpluses have reduced sharply in the third quarter, according to Rabobank. Price rises will be limited by low demand and high stocks, but demand has strengthened in Europe and remained strong in the US. Kevin Bellamy, Rabobank global dairy strategist, said this had led to an ’even more dramatic reduction in surpluses available for export’. He said: "Export surpluses will reduce year-on-year by more than 3.4 million tonnes in the second half of 2016, more than at any time since the global financial crisis, with a further 2.5m-tonne reduction due in 2017. "The world’s dairy farmers will struggle to react quickly to rising prices, leading to a sustained price recovery into 2017." In the EU, pressure on farm margins and poor weather conditions reduced milk production by 1.5 per cent in June year-on-year. Demand in Europe remains solid. In the UK, promotion driven cheese sales are up 5 per cent on average and liquid milk consumption has grown at about 1 per cent year-on-year. Government intervention could affect the market going forward with the EU milk reduction scheme potentially removing 1 billion litres from the market. Mr Bellamy said: "The extent to which farmers reduce cows rather than yields will impact Europe’s capacity to respond to increases in market demand well into 2017." In the US, domestic demand has continued to be high, but farmgate prices have fallen due to high stocks and a strong dollar. Chinese import demand has been stimulated by poor milk production and demand has continued to grow for premium products. From January to August, China’s net dairy import grew by 21 per cent year-on-year and Mr Bellamy estimated Chinese imports will continue to grow by 20 per cent in the second half of 2016.